Steven Lehner’s tort litigation and mediation practice is national in scope. He devotes a substantial part of his practice to employee benefits litigation, both ERISA and non-ERISA. 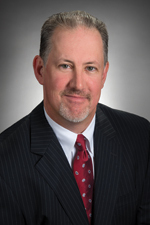 Mr. Lehner has represented employee benefit plans and fiduciaries in court litigation and alternative dispute resolution, including dispositive motions and appeals. His employee benefits litigation experience includes defense of claims for benefits, breach of fiduciary duty claims and reporting and disclosure claims. Mr. Lehner also has a strong insurance practice, defending insurance companies and self-insured clients both regionally and nationally in the areas of premises liability, insurance coverage disputes, catastrophic litigation, wrongful death claims, dram shop/liquor liability, automobile negligence and general liability litigation. In addition, Mr. Lehner represents several insurers in first party property work involving sink hole claims, including breach of contract and extra contractual damages claims. In his litigation practice, Mr. Lehner also focuses on the transportation and trucking industries, handling cases involving wrongful death, catastrophic injuries and potential punitive damage claims. He has attended the Trucking Industry Defense Association’s (TIDA) national conference. Mr. Lehner’s clients include national and regional insurers, hospitality and retail chains, restaurant chains, private commercial security companies and trucking companies. He leads a team of attorneys within the firm that works closely with clients in the hospitality industry. Mr. Lehner joined Hinshaw & Culbertson LLP’s Tampa office in 1996. He is a member of the firm’s Associate Hiring Committee and is the Mentor Coordinator for the Tampa office. He is a past member of the firm’s Executive Committee. Defended hotel in premises liability claim. Plaintiff alleged defendant’s dock was unsafe. Jury returned defense verdict after 4-day trial. Defended grocery chain in a slip-and-fall case. Obtained directed verdict for the defense. Represented large lawn care company in a breach of contract suit. Obtained verdict for the defense. "Effective ERISA Mediations," 11th Circuit ERISA Meeting, Tampa, Florida, January 2012. "Deposing Expert Witnesses," Hillsborough County Public Defenders and State Attorneys Offices, Tampa, Florida, September 2009. Steve enjoys golf, snow skiing and scuba diving.